Who doesn’t enjoy their latte that a little bit more when the barista goes to the trouble of adding a little heart-shaped or leaf-shaped swirl on the top of the foam? This is what’s known as latte art, and it has become an increasingly popular art form in cafes across the world in recent years. In fact, it’s pretty much standard practice for a latte or a cappuccino. Latte art is a method of pouring steamed milk into a shot of espresso in a certain way, resulting in a pattern or design on the surface of the drink. It can also be created or embellished by simply “drawing” in the top layer of foam using a toothpick or similar implement. These aforementioned methods are the two main types of latte art: free pouring (creating the pattern during the pour) and etching (using a tool to create a pattern after the pour). Free pouring is far more common, and has resulted in the two most commonly seen latte art patterns —the heart shape and the rosetta, a fern-like design. Latte art is made possible by the combination of the crema (which is an emulsion of coffee oil and brewed coffee) and the microfoam, which is a foam of air in milk. David Schomer, the owner of Seattle’s Espresso Vivace coffee shop, is credited with bringing latte art to the forefront of coffee culture in the US. Schomer credits the development of microfoam (“velvet foam” or “milk texturing”) to Jack Kelly of Seattle coffee shop Uptown Espresso in 1986. 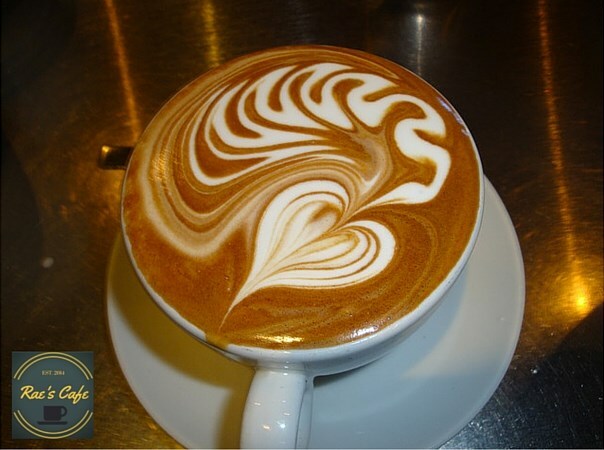 Schomer worked on his technique of free-pouring the textured milk using the sides of the cup to form swirls and waves, and perfected the heart pattern by 1989. Then he saw the now popular rosetta pattern in a photo from a café in Italy in 1992, and worked for about six months perfecting the technique to create that design. Today, free pouring latte art designs (such as the heart and the rosetta) have become pretty much standard practice when making drinks, and many baristas take part in international latte art competitions. Coffee Art in OG showed its style in last year’s Organo Gold’s OGlicious Recipe Contest. In addition to fantastic coffee recipes, all the entries were compiled into a Holiday Cookbook in which proceeds go to OG’s charity – OG Cares.